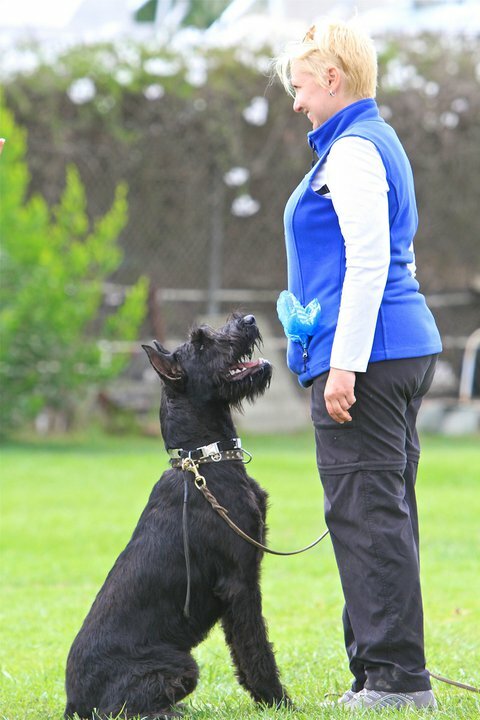 Those who are familiar with AKC obedience will feel more comfortable in this area, as many of the exercises are similar to those in Open and Utility. There is heeling, both on and off lead. The sit, down and stand are also done, except when the dog is moving. But Schutzhund applies its own style to this work. Instead of a forty foot ring, the handler and dog work on a soccer sized trial field. Some exercises require the dog to work under the noise of a firing gun. In addition to the normal dumbbell retrieval, the dog must retrieve over a one meter jump and a six foot wall. Down stays and a long send away conclude the test.